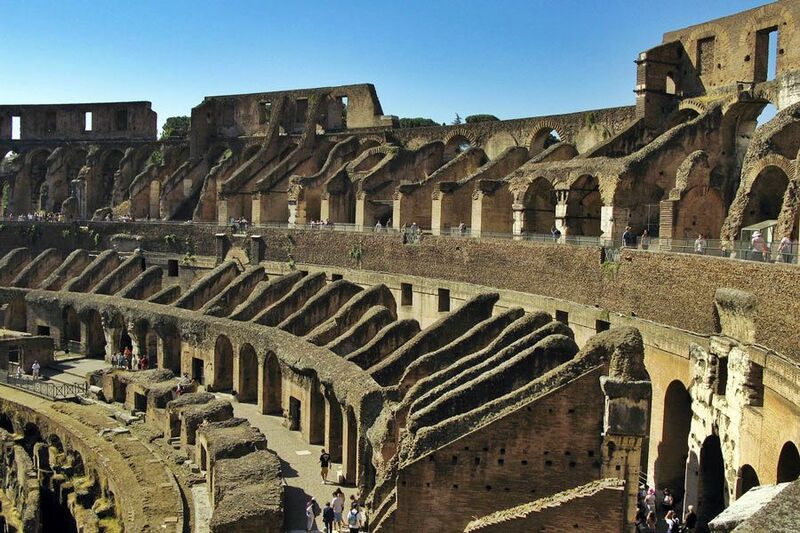 The Colosseum or the Flavian Amphitheatre is one of the most legendary monuments of ancient Roman culture. The construction was started by Emperor Vespasian and the work was completed under the reign of his son, Titus. The Colosseum was a stage for gladiatorial battle or a stage for justice where prisoners or criminals were executed in front of the entire Rome. The total capacity of the Colosseum was 45,000 to 55,000 people. There was no entrance fee for spectators but they were provided with a ticket that consisted of a seat and tier number and entrance gate number. The seating arrangements reflected the division of the Roman society. The seats were arranged in the form of four sections or tiers in accordance with the ranks. The most prestigious segment belonged to the Emperor who had a seat in the Imperial box, also known as cubiculum. This prominent position of the Imperial box was placed on the podium located on the north side. Podium also called ima caveum, was situated at a height and contained reserved seating. The other seats on the podium were marked for the most elite class of Romans, which included members of Royal family, senators, nobles and priests. The second tier or Maenianum primum was reserved for Equites or Knights, who belonged to the non-senatorial class. This segment consisted of 14 sections of marble seats. The third tier was reserved for plebians or ordinary Roman citizens. It was further divided in to two segments in which the lower seats belonged to rich plebeians and the upper seats were for the poor plebeians. The fourth and the last tier were made up of wooden seats and were reserved for common women. 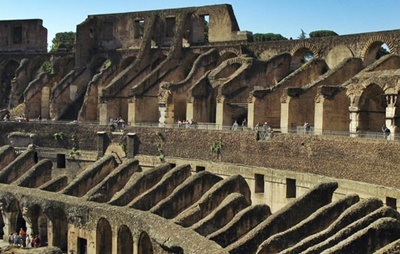 Colosseum is the most enduring building of Rome that has a major symbolic meaning. It forms the base of arenas all over the world.